The Seattle Mariners head to Angel Stadium on Sunday, October 1, 2017 to take on the Los Angeles Angels. The expected starting pitchers are James Paxton for the Mariners and Parker Bridwell for the Angels. The odds for this matchup have Seattle at -113 and Los Angeles at +103. The Mariners have a 75-79-6 over/under mark and a 71-89-0 run line record. The Angels are 80-80-0 against the run line and have a 78-77-5 over/under record. The Mariners have a 77-83 overall record this season. Starting pitcher James Paxton has a 12-5 record with an earned run average of 3.12 and a WHIP of 1.13. He has 147 strikeouts over his 130 innings pitched and he's given up 110 hits. He allows 7.6 hits per 9 innings and he has a FIP of 2.71. The bullpen has an earned run average of 4.01 and they have given up 516 base hits on the year. Teams are hitting .239 against the bullpen and they've struck out 541 hitters and walked 206 batters. As a team, Seattle allows 8.7 hits per nine innings while striking out 7.7 batters per nine innings. They are 14th in the league in team earned run average at 4.45. The Mariners pitchers collectively have given up 1,381 base hits and 703 earned runs. They have allowed 235 home runs this season, ranking them 4th in the league. Seattle as a pitching staff has walked 484 batters and struck out 1,224. They have walked 3.1 men per 9 innings while striking out 7.7 per 9. They have a team WHIP of 1.31 and their FIP as a unit is 4.71. As a team Seattle is hitting .259, good for 12th in the league. The Mariners hold a .423 team slugging percentage and an on-base percentage of .325, which is good for 16th in baseball. They rank 13th in MLB with 8.9 hits per game. Nelson Cruz is hitting .288 with an on-base percentage of .376. He has 158 hits this season in 548 at bats with 118 runs batted in. He has a slugging percentage of .553 and an OPS+ of 147. 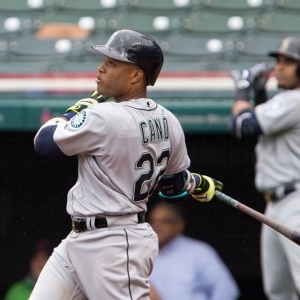 Robinson Cano is hitting .281 this year and he has an on-base percentage of .339. He has totaled 164 hits and he has driven in 97 men in 584 at bats. His OPS+ is 113 while his slugging percentage is at .455. The Mariners have 1,417 hits, including 277 doubles and 196 home runs. Seattle has walked 484 times so far this season and they have struck out 1,256 times as a unit. They have left 1,072 men on base and have a team OPS of .748. They score 4.64 runs per contest and have scored a total of 742 runs this year. Los Angeles has a 79-81 overall mark this year. With an earned run average of 3.87, Parker Bridwell has a 9-3 record and a 1.24 WHIP. He has 70 strikeouts over the 114 innings he's pitched. He's also given up 112 hits. He allows 8.8 hits per nine innings and his FIP stands at 4.93. The bullpen has an earned run average of 3.85 and they have given up 504 base hits on the year. Teams are hitting .236 against the Angels bullpen. Their relievers have struck out 595 batters and walked 167 opposing hitters. As a team, Los Angeles allows 8.6 hits per nine innings while striking out 8.2 batters per nine innings. They are 12th in the league in team earned run average at 4.2. The Angels pitchers as a team have surrendered 1,354 base knocks and 664 earned runs this season. They have given up 220 home runs this year, which ranks 7th in Major League Baseball. Los Angeles as a staff has walked 467 hitters and struck out 1,301 batters. They give up a walk 3 times per 9 innings while they strike out 8.2 per 9. Their team WHIP is 1.28 while their FIP as a staff is 4.41. As a team, they are batting .242, good for 28th in the league. The Angels hold a .397 team slugging percentage and an on-base percentage of .315, which is good for 24th in baseball. They rank 29th in MLB with 8.1 hits per contest. Andrelton Simmons comes into this matchup batting .279 with an OBP of .331. He has 163 hits this year along with 69 RBI in 584 AB's. He maintains a slugging percentage of .421 with an OPS+ of 103. Mike Trout is hitting .309 this season and he has an OBP of .446. He has collected 122 hits in 395 at bats while driving in 72 runs. He has an OPS+ of 190 and a slugging percentage of .638. The Angels as a unit have 1,296 base hits, including 248 doubles and 184 homers. Los Angeles has walked 517 times this year and they have struck out on 1,178 occasions. They have had 1,017 men left on base and have an OPS of .712. They have scored 4.38 runs per game and totaled 700 runs this season.